Seamus Murphy has been appointed the new manager of the Wexford senior hurling team, succeeding his Rathnure club colleague John Conran. County secretary Michael Kinsella has been confirmed as team coach, with two further selectors to be appointed. Murphy steered the Model county's Under-21s to successive Leinster titles in 2001 and 2002. When Conran - who had also managed Wexford to Under-21 provincial successes in 1996 and 1997 - was appointed manager in 2002 for a three-year term, some delegates had questioned why Murphy was also not interviewed for the post. However, he has now, as expected, finally got his chance at senior inter-county level. He was firm favourite to get the job after former Tipperary player and manager Nicky English turned down the job earlier this month. 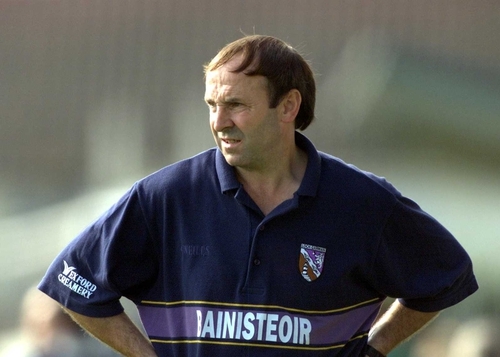 During his two-year reign, Conran led Wexford to two All-Ireland semi-finals. After taking the back-door route in 2003, his team were well beaten by Cork in the All-Ireland semi-final, albeit after a replay. But Conran and Wexford bounced back, taking Wexford to an unexpected provincial title last season, memorably beating then All-Ireland champions Kilkenny in the last four before defeating Offaly in the decider. However, Wexford's season ended disappointingly when they were thrashed by 18 points by eventual winners Cork in the All-Ireland semi-final. Conran promptly resigned, citing family and business commitments as the reasons for his premature departure.